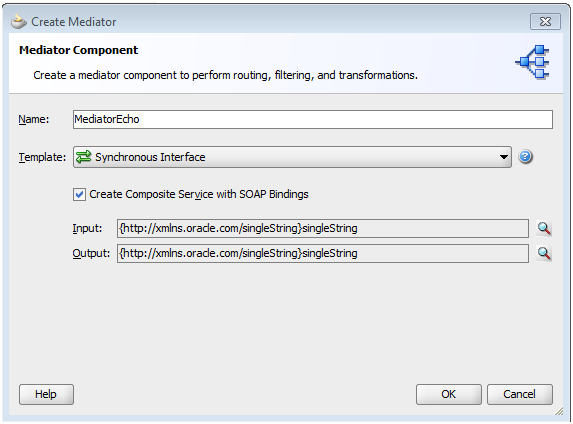 A new feature is added to Oracle SOA suite 11g for mediator, it is called Echo. Echo option is used when we don’t have target service availlable ,we expose Mediator functioanlity as taraget service and Echo a respone to intial caller . Suppose we are doing qurey from target service but that target service is down due to some reason , in this case to test our Mediator we use Echo, we will create sample query response message and pass that to calling service as a Echo. In this post, I will show you how we can create one sample Mediator project to show Echo functionality. Create one project and add Mediator to it. Name it as “MediatorEcho” and made it as Synchronous. Go to Mediator mplan file and open one static routing rule. Choose “Echo” from available options. Do the required mapping and map all the fields which we want to send to initial caller as Echo. 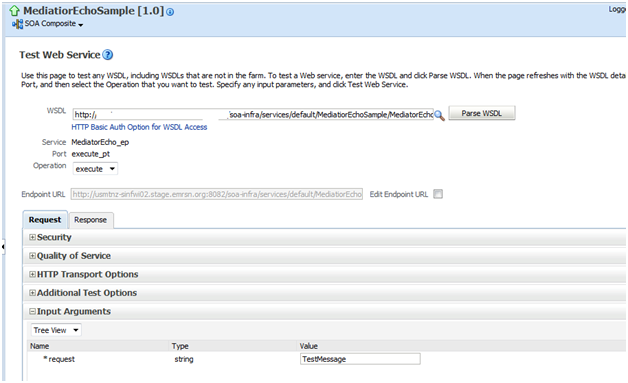 Test the Mediator service by sending some sample message and in the output you should get the same message. This blog is solely owned by me and it does not represent any company or customer work. This blog is result of the POC's which I keep on doing during my spare time. Please feel free to reach out to me in case you have any concern regarding material in this blog.